On Sunday, June 10th, The Eubie Blake National Jazz Institute and Cultural Center was the site of a tribute concert organized by jazz presenter Mike Binsky. Trumpeter Freddie Hubbard and tenor saxophonist Joe Henderson, two giants of jazz from the 1950s through the 1980s, were celebrated by a quintet headed by Javon Jackson on tenor, and including Baltimore native Tommy Williams on trumpet, Larry Willis on piano, Steve Novosel on bass, and Billy Williams on drums. In his introduction to the players, Binsky explained that he had chosen them because of their associations with Hubbard and Henderson, who often played together. The audience seemed to be composed of long-time jazz aficionados who were quite familiar with the work of those two jazz greats and who often responded with audible recognition and pleasure as the first few notes of a familiar tune were played. The band kicked off the first set with a vivacious rendition of Henderson’s composition, “Home Stretch,” from his 1963 debut album Page One. Fingers flew in a blur on the instruments as the musicians played at a blistering tempo, while maintaining a piercing melodic clarity. Things cooled down a bit on the second number, “Serenity,” recorded on Henderson’s 1964 album In ‘N Out. Jackson and Tommy Williams again played the head together almost as one voice, except for the occasional touch of colorful dissonance. An intriguing drum solo by Billy Williams opened the third tune, “Blue Bossa,” also recorded on Page One. Across the room, heads were bobbing and toes were tapping to the infectious beat of this Kenny Dorham classic. A moody, reflective sax solo introduced the plaintive melody of Thelonious Monk’s “’Round Midnight,” a tune Henderson recorded on three of his albums. The trumpet and sax took turns on the slow-paced head that evoked a melancholy night walk by a disappointed lover. Then, as the solos began, the slow walk took on a spring of hopefulness. Willis offered a particularly rich and nuanced solo, before the tune took on a tango feel; it finally ended stirringly with a jangling, arrhythmic dissonance. The last tune in the first set was “Moanin’,” and the band gave the tune its due with a funky strutting groove, then Tom Williams’s trumpet solo poured on the hot sauce. As the band brought the tune to an end, there were some humorous miscues, but the audience was already won over and didn’t mind, and the set closed to rousing applause. The second set opened with Freddie Hubbard’s “Up Jumped Spring.” Williams’s trumpet and Jackson’s tenor saxophone united in glorious harmony, sustained by the solid gold rhythm section. During his solo, Willis’s nimble fingers joyously danced across all eighty-eight keys of the Center’s grand piano. The Vincent Youmans composition “Without a Song” followed, with Novosel and Billy Williams expertly driving the rhythm. Tommy Williams delivered another dazzling solo, and Jackson continued to provide his gorgeous interpretations. Billy Williams treated us to intermittent and technically impressive solos in the middle, and the song ended with a delightfully whimsical musical exchange between Jackson and Tommy Williams. At the close of the concert, Mike Binsky, who has been bringing jazz giants to Charm City for thirty-five years, thanked the enthusiastic audience to the strains of Hubbard’s “Theme.” No doubt even then he was envisioning another major jazz event for Baltimore. Freddie Hubbard was my hero and the greatest Trumpet player of all time. Joe Henderson was one of the top Tenor Saxophonists who ever played. I learned about Jazz when I first listened to Hubbard’s “Red Clay”. My dream was when I saw in person Freddie Hubbard, McCoy Tyner, Ron Carter, Elvin Jones in Philadelphia’s Kool Jazz Festival @ Academy of Music, and then again at Wilmington, Delaware’s Grand Opera House in 1982. This band was billed as the “Great Quartet”. 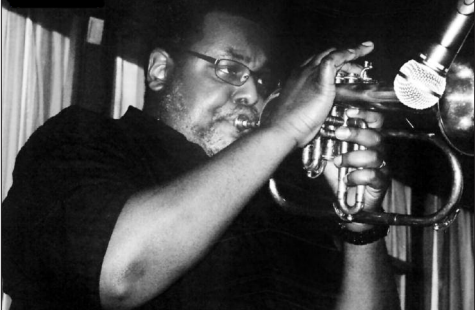 Listen to Freddie Hubbard’s 1991 CD titled “Freddie Hubbard, Live @ Fat Tuesday’s NYC. Recored Live in 1991 w/ Javon Jackson on Tenor, and Benny Green on Piano. Listen to : Destiny’s Children” and hear Freddie, Javon and Benny Green swing like a rocking chair on this cut on this Fat Tuesday’s Album. This Album wish show that Freddie Hubbard was the greatest Trumpet Player all of time. Read my Blog for Freddie Hubbard’s best Albums he recorded Live and in the studio. Write to me, if you want @ spsortscond@hotmail.com.